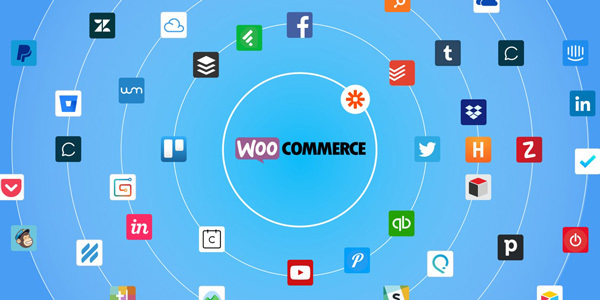 WooCommerce Zapier Extension: allows you to send your WooCommerce store’s data to 1000+ third party web services like Highrise, Twilio, Campaign Monitor, MailChimp, Xero, Zendesk, Dropbox, Google Docs and others and Save time and hassle by automatically sending WooCommerce order, customer and subscription – Zapier account required! ◉Uses changes in WooCommerce order and customer data as triggers for Zapier automations. ◉Supports all WooCommerce currencies, shipping methods and payment gateways. ◉Secure: your WooCommerce data is always sent to Zapier over an encrypted connection. ◉Robust: data is sent to Zapier asynchronously, with automatic retry mechanisms built in. ◉Adjustable: zap notifications can be filtered to specific users, groups or teams. ◉Full support for simple and variable products. ◉Supports lookups of specific data in select integrations, with more on the way. ◉Supports WooCommerce Checkout Field Editor, allowing you to use your custom WooCommerce checkout fields in your zaps. ◉Supports Sequential Order Numbers Pro. ◉Includes WordPress filters so that other WordPress plugins can override or customize the WooCommerce data that is sent to Zapier.